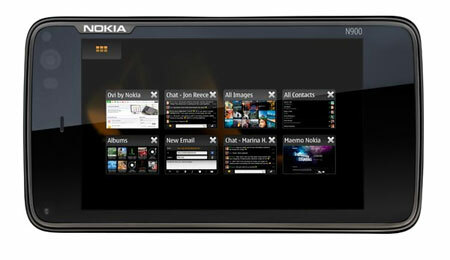 The Nokia N900 mobile computer/cell phone features a 3.5-inch touchscreen as well as slide-out full QWERTY keyboard. 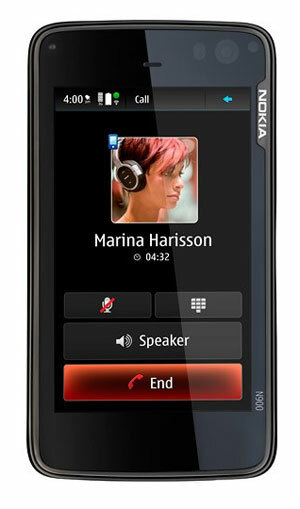 Learn about all the N900’s features in this Nokia Demo Guide PDF. Take high-quality photos and widescreen videos using the 5-megapixel camera with Carl Zeiss optics. You’ll also be able to tag photos with keywords and browse them using the tag cloud, geotag images with the location data of where they were shot, share online via Ovi Share or Flickr, or store for mobile viewing on the N900’s 32 GB internal memory–which can also be expanded via optional microSD memory cards. Fast 3G connectivity with broadband-like speeds via 900/1700/2100 MHz UMTS/HSPA. Integrated assisted GPS (A-GPS) receiver for navigation using the Ovi Maps application as well as for geotagging photos and accessing location services used by popular social networking sites. Switch between rich 3D, satellite and hybrid map views. 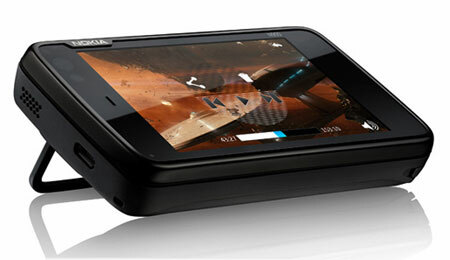 3.5-inch touchscreen display with built-in accelerometer and 800 x 480-pixel resolution. 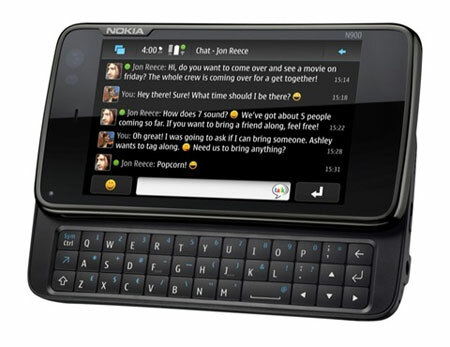 (Learn more) Slide-out full QWERTY keyboard as well as virtual onscreen keyboard. Speed your typing up further with smart on-screen features and word completion. 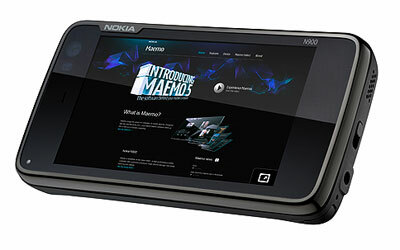 Maemo 5 software and user interface with direct touch logic, 3D accelerated graphics, and multi-window multitasking menu logic. (Learn more) 5-megapixel Carl Zeiss autofocus camera with dual LED flash and sliding lens cover for protection and camera activation. (Learn more) Capture WVGA 16:9 video in higher than DVD resolution. Digital audio and video playback with multi-format compatibilities plus TV output (cable included) and FM radio. 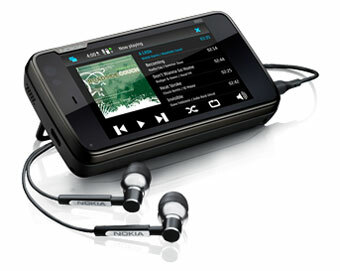 Bluetooth 2.1 connectivity with stereo music streaming (A2DP) capabilities as well as hands-free headsets and car kits. (Learn more) Wi-Fi networking for accessing the Internet from home, corporate and hotspot networks (802.11b/g); includes WEP, WPA, WPA2 security protocols. 32 GB internal memory expandable up to 48 GB via optional microSD cards (up to 16 GB in size). Full messaging capabilities including SMS, mobile instant messaging (with presence-enhanced contacts), personal and corporate email (with support for Exchange and viewing attachments). Easily set up multiple email accounts with support for popular email providers. Keep multiple SMS & IM conversations going and move easily between them. Mozilla-powered full HTML browser with support for Adobe Flash player and ability to keep multiple web windows open. Organizer tools including calendar, clock, notes, calculator, and sketch Full range of applications including Ovi Maps, PDF reader, and RSS reader Airplane mode allows you to listen to music while the cellular connectivity is turned off.